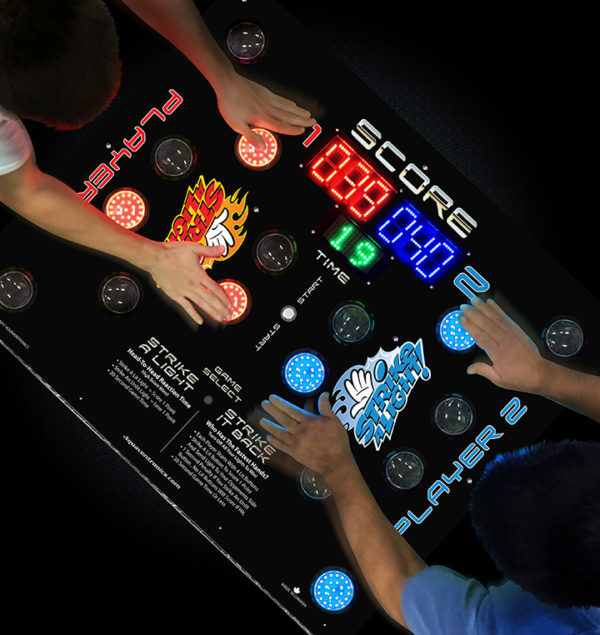 This high energy 2 player arcade-type game tests the speed of the players eyes and hands! 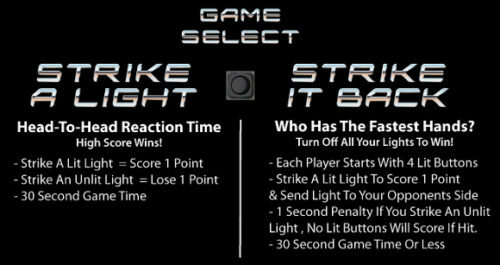 The objective of this game is to strike the lights as they illuminate. The faster the buttons are hit the more points are collected but hurry because there’s only 45 seconds of game time! Rent this arcade-like game for almost any type of event, indoor or outdoor! With the direct LED lights, you can see the illuminated buttons in any type of light. For a video of Strike a Light in action, click here! 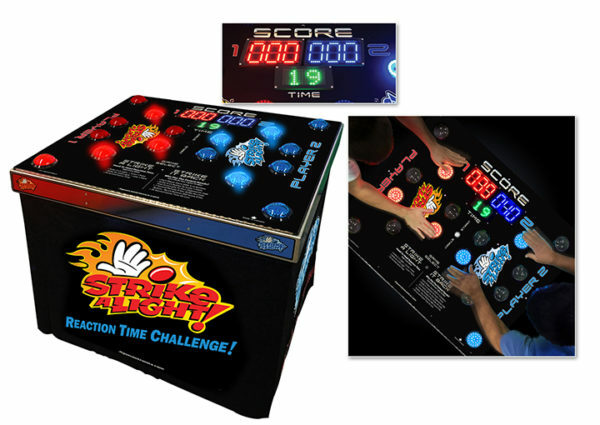 Arcade games, like Strike a Light, are perfect additions to almost any event; corporate event, school party, office party, college event or church event! 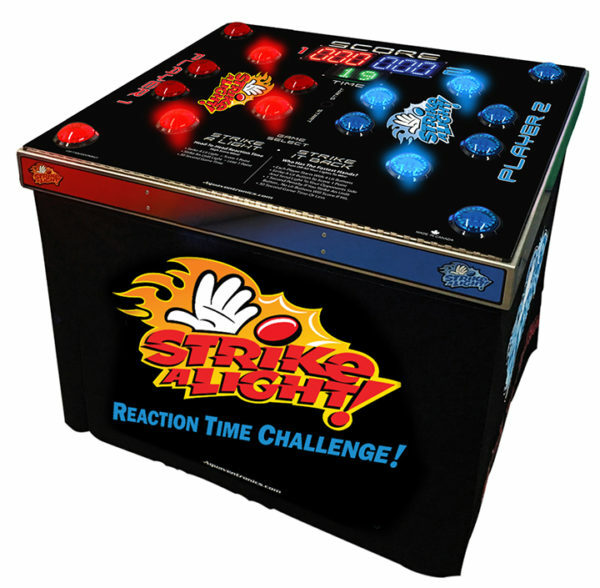 Strike a light and many other games are available for rent in Grand Rapids, Lansing, Kalamazoo, Holland, Big Rapids, Grand Haven, Detroit, Cadillac and all other Michigan cities!